First off, sorry for the delay in updating here. That flu that has been going around is not fun, and even looking at a computer screen for more than a minute made me sick! With that out of the way, let’s talk about a common question, and that’s when to use your skills! I tell my students to try and talk your way out of a fight whenever you can. Use your wit, your sense of humor, any ability to reason with the person prior to the first punch being thrown. One thing I tell my students, especially kids, that isn’t always popular with some parents, is to never run from a fight though. The reason is simple, if you run from a fight, you might as well paint a giant bullseye on your back for the rest of the bullies at school. While you may have avoided one fight, the five that follow will be far worse, as those bullies just zeroed in on what they perceive as weakness. Once that first moment of physicality has occurred, now the time to play nice is over! I generally give the person one chance to come to their senses. If the person tries pushing me, I’ll deflect their push, sending them off balance, sending them a clear message that I’m not messing around, but I will tell them to knock it off. Of course, if they come at me a second time, clearly the negotiation process has failed, and it’s time to act. If the person comes at me with a more aggressive attack like a punch, it quite frankly depends on the quality and danger the punch presents. Sometimes, I can defend the punch in such a way that makes it clear I’m the superior fighter just by blocking. Hopefully in this case, the person comes to their senses, if they don’t, of course you need to be ready to immediately follow up with strikes that will incapacitate them long enough for you to get to a point of safety. 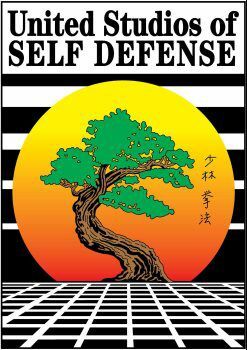 Fortunately, as a martial artist with 25 years of training I can subdue most attackers without the need to hurt them. It’s a weird dynamic, the better you get, the more you’re capable of inflicting great amounts of harm on someone, but the less likely you’ll have to, as other means of lesser force will be more readily available to you. This quote is what should guide you in a self-defense scenario. You use the least amount of force necessary to subdue your assailant. Every situation is so different, depending on your skill, their skill, even to how you’re dressed (how you’d fight if you’re wearing heels or tennis shoes would be drastically different). If you have some drunk person who isn’t quite in their right mind, it will probably be easy to subdue that person with a minimal amount of force required. If you’re going against someone who just finished a 20-year term at a maximum security prison, you need to be ready to do far more.